How Young Were You When You Chose Your Career? Were you forced to take over the family business? Did you know you wanted to do anything but what your parents did? Did you want to join a circus when you grew up? What did you learn by good or reverse example from your family career-wise? This may sound strange to some of you and logical to others: my psyche picked out my passion in life, which turned into my first career, by the time I was four years old. It informed me, without my knowing it, by means of a dream. I tell the dream in my upcoming book on death and dying so I won’t tell it here. Suffice it to say that the dream drove me into my inner world in waking life and to actively pursue my love for music. My second career of writing came much later. I’m an Observer in the Enneagram. My Helper type mother was interested in art but didn’t have a career other than homemaker. One of her brothers, possibly a Perfectionist, worked for Lockheed Airplane Company. He knew he wanted to be an electrical engineer from the age of six. The other brother, a Peace Seeker, sold iron or steel. Their father started out as a clerk in a bank in Cripple Creek, CO. He was most enthusiastic about selling real estate, but wasn’t very successful. My father, an Observer with a Questioner wing, was a metallurgist, figuring out how to extract minerals from ores by means of chemistry and physics. He worked for the Bureau of Mines. Then the University of California hired him as a professor and he consulted on the side for the Union Pacific Railroad. He knew from an early age that he wanted to be a scientist. His brother-in-law, an Asserter, ran a successful business that manufactured flowerpots. He was protective of and kind to his employees. His wife, my father’s sister, was an Adventurer. She didn’t have a job. She did something naughty. She told us she played bridge a lot, but she was really going to casinos to gamble. My father’s other sister, a Questioner, was one of the first women to be an executive in a large clothing company, Lerner’s. This was in the 1930’s and 40’s and later. In fact, she’s my only aunt or grandmother who had a career. My father’s brother, a Peace Seeker, was an attorney for the Pentagon. He negotiated contracts with outside companies. My father’s father, an immigrant from Odessa, Russia, started out selling junk in Omaha Nebraska. He moved his family to Salt Lake City around 1909, opened a bar with gambling in the back, and invested in mines. He made a lot of money and lost most of it in the crash of 1930. When he was a little boy, my husband, Gus, didn’t want to work when he grew up as a reaction to his parents’ pressuring him to be successful. He ended up working hard, however. An Observer, he majored in art at Cal and loved to paint. He became a high school teacher of Educationally Handicapped students, preferring that to history, which he had started out teaching. His father, a Perfectionist, started out as a teller during the Depression. Someone advised him to go to college, which he did, and he eventually rose to bank vice president. One of Gus’ grandfathers sold pianos. The other, a German immigrant, was a self-taught baker. 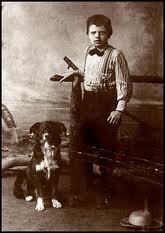 When he had a bakery in Oakland, young Jack London delivered bread for him. For more famous types, see my list on wagele.com, my Psychology Today blog, and my WordPress blog. Jack Kerouac, Allen Ginsberg's friend, 1953. Cara Cerino is a sophomore student at the University of California. She is my extern for two weeks and has her own blog on banned-book authors: http://examiner.com/banned-books-in-oakland/cara-cerino. When she found out I had a series on famous Enneagram types, she wrote the following piece about Kerouac as a Romantic. See my web site for a list of famous types. – Elizabeth. Jack Kerouac, the face of the Beat Generation, was no stranger to controversy. The backlash for his iconoclastic novel, On the Road, is unsurprising given the cloistered era of the 1950s. The coarse language, the misogynistic attitudes of the male characters and the immoral actions of the women all lead to this book’s banning. His novel’s frenetic style and breakneck pace, which wouldn’t suit everybody, has a lot to do with his personality. In the Enneagram personality system, where the digits one through nine each correspond with a personality type, I see Kerouac as a four, the Romantic. As told by the Enneagram system, the four-Romantic is a dynamic type. At once, the Romantic is in love with life and embittered with others. They are usually introverted, but if they are under the influence of the three wing, the Achiever, they can be extroverted. Each number has two wings, the numbers directly in front of and behind the main personality type. For example, a Romantic has a three, the Achiever, and five, the Observer, wing; with one wing usually dominant over the other. I believe that Kerouac had a strong five wing, meaning that he was more introverted and cerebral than outgoing and goal-oriented. However, Kerouac’s gregarious nature in his younger years, seven years before On the Road was published, emanated from his exuberance for the world’s offerings. A four-Romantic’s lust for life can be contagious. An example in On the Road, is his experience in the jazz club where he becomes enthralled with the music and he, along with his friends, arrive at an almost transcendent state. The intricate, beautiful melodies of the jazz improvisations could catch a four like Kerouac’s sense of wonder and imagination. Another characteristic of the Romantic is a sense of longing for things lost or things they never had in the first place. There is always something better just beyond their reach. 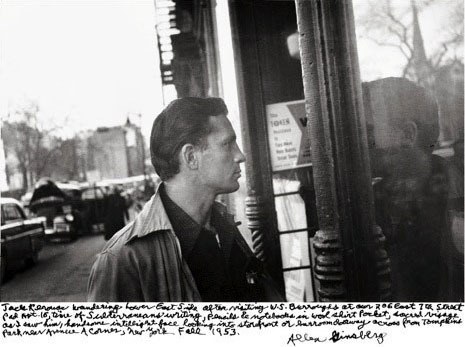 This is delineated excellently in part one of the novel when Kerouac’s protagonist, Sal, says, “Somewhere along the line I knew there would be girls, visions, everything; somewhere along the line the pearl would be handed to me.” His Romantic characteristics are the driving force that keeps him on the road. The unfortunate side of the four’s personality is the predilection to become melancholic and depressed. This is shown in On the Road, but more tragically in Kerouac’s life. In the beginning of part three in On the Road, Sal is feeling despondent and lonesome because none of his friends are around. Without that outside stimulation, Kerouac’s main character cannot find it within himself to be cheerful about existence. In Kerouac’s real life, although the book is very closely tied to it, one of his biographer’s called him, “truly (instead of fashionably) miserable[.] Kerouac expressed his unhappiness nakedly in his art and was not taken seriously.” His critics had trouble reconciling the role he played in his younger years, when he wrote many of his books, and the dejected personality that came later from fame and maturity. Wallowing in woe is a Romantic characteristic. The book’s creation was a four-like process. The free-flowing style with which the original scroll was written, an attempt at conveying the improvisation of Kerouac’s contemporary jazz musicians, could only have come from a Romantic. They have a creative disposition and an emotional depth that one doesn’t find as readily in the other types. Stream of consciousness writing is probably mastered most adeptly by fours. Because of the content and style of this book, many more conservative critics didn’t react to On the Road favorably. Only someone with a deep longing for life and excitement as well as the creativity to display his thoughts in an innovative way could have come up with such a masterpiece. His authentic experiences needed to be recorded faithfully whether society approved or not, as was displayed by its ban.